Hedging or hedge trimming is the practice of pruning leaves on a hedge in order to keep it looking neat and healthy. Hedge trimming is an art. A neat and tidy looking hedge can turn your average garden into something truly spectacular. However, creating this neat and tidy look can be extremely time consuming and difficult. If you don’t know how to properly trim a hedge, you can risk causing more harm than good. Regardless of which hedge-trimming tools you use to maintain your hedge, you want the blades to be sharpened and clean. Blunt blades will tear at the leaves instead of cutting and cause excessive damage. Always remove any dead branches as this will decrease the chances of an insect infestation, as well as diseases spreading. Cut the vertical sides first using an up-and-down motion, moving slowly. Use a similar side-to-side motion when cutting the top. Never hedge trim the sides of your shrub on an angle, as this will reduce the amount of sunlight that reaches the lower limbs. Remove a maximum of 1/3 of the limbs. 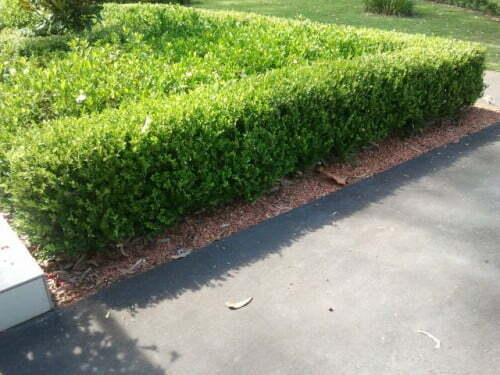 Removing too much foliage will damage your hedge. Always wear protective equipment when operating hedge trimming equipment. If you’re not confident using the equipment, you should seek the help of your local Gold Coast gardener. Looking to plant a hedge on the Gold Coast? 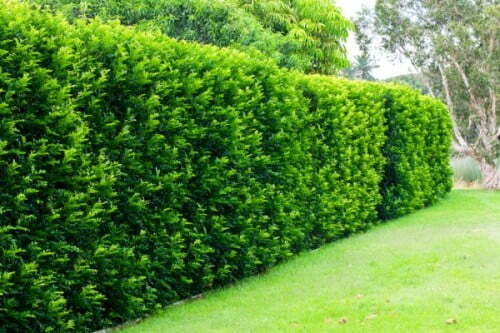 Also known as the box hedge, it’s a smaller green hedge that’s easy to maintain, but slow growing. Once established, it will give your garden a neat and classy look. 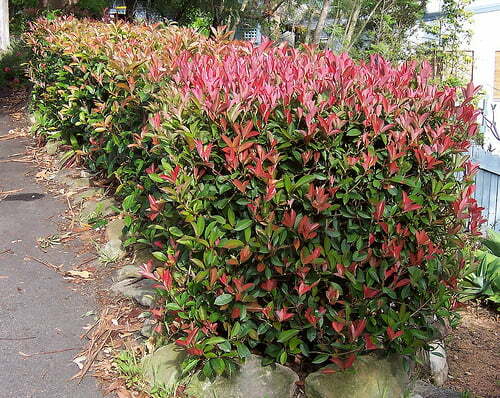 Medium to small in size, the lilly pilly hedge is known for its contrasting cherry red, copper and bronze colours. It can be more prone to disease and pests than other species. Popular due their fiery red foliage, a photinia is the perfect hedge for brightening up your garden. 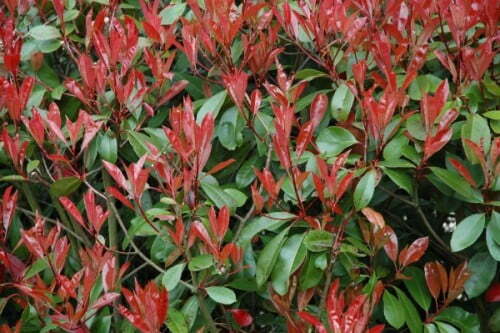 Make sure you do your research before investing in a photinia, as some varieties can look twiggy. If you don’t have the tools, knowledge or time to take care of your garden, talk to the friendly Focal Point Landscape Maintenance team today and we’ll be happy to assist with a free quote!